Order in the next 1 hour, 15 minutes an 20 seconds for same day shipping. 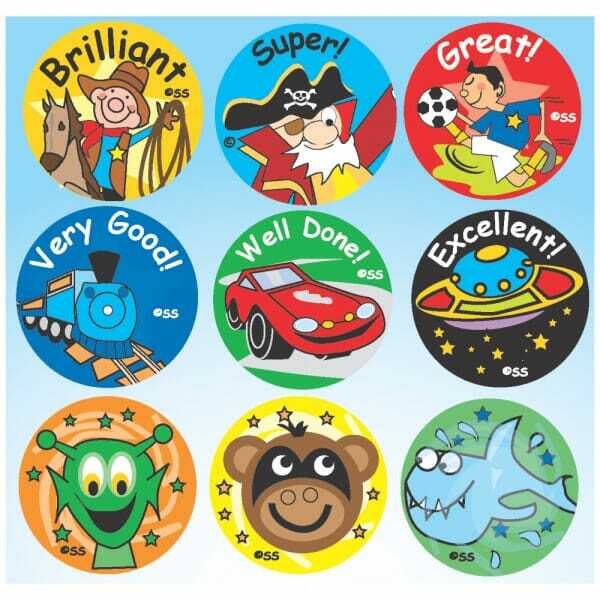 Reward your pupils for their good work with these cartoon stickers including images of cowboys, pirates and race cars with motivational phrases such as 'brilliant', 'super' and 'well done'. Perfect for using when marking homework or tests, these stickers are ideal to encourage your pupils to continue doing great work. 54 Stickers sold per pack. Customer evaluation for "Cartoon images and phrases Sticker Pack A"